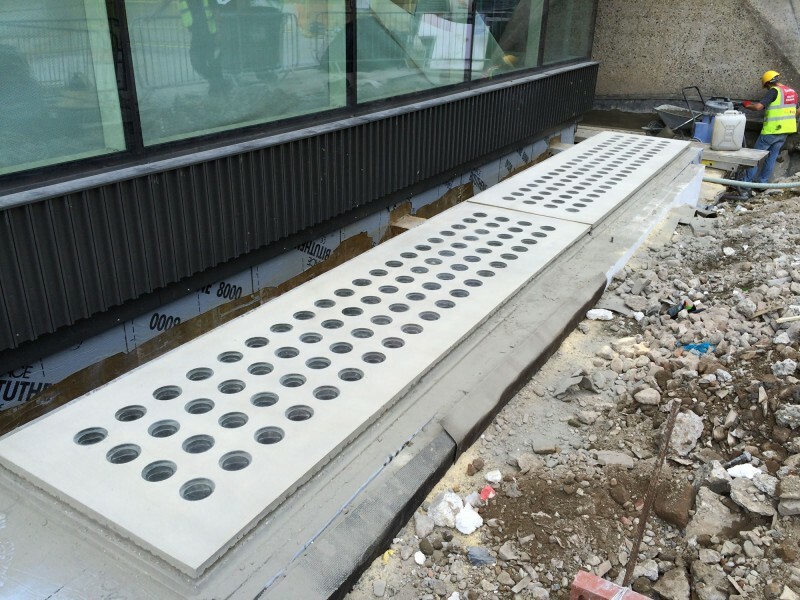 New Age Glass Limited were delighted to be the preferred contractor with the design and installation of the circular 117mm diameter glass lensed pavement lights on this prestigious London building. 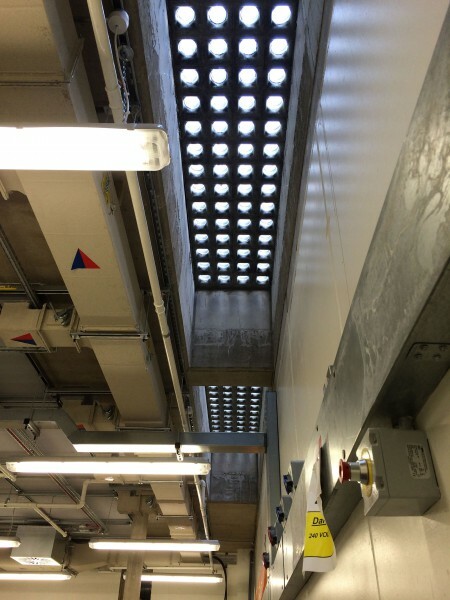 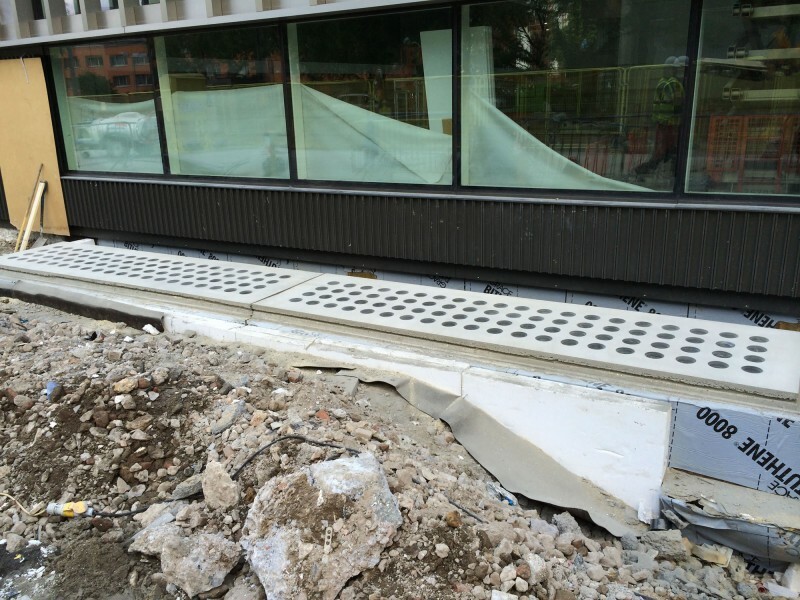 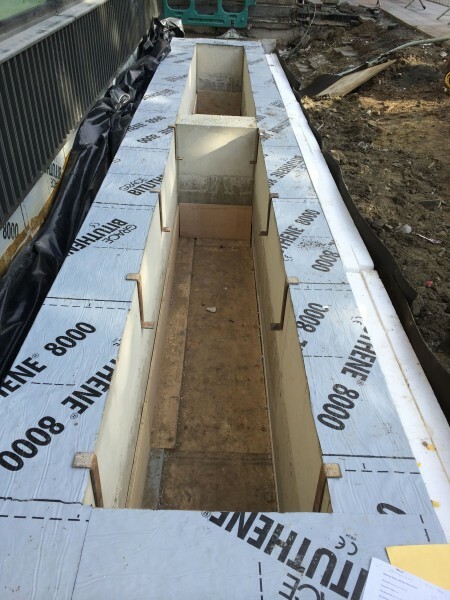 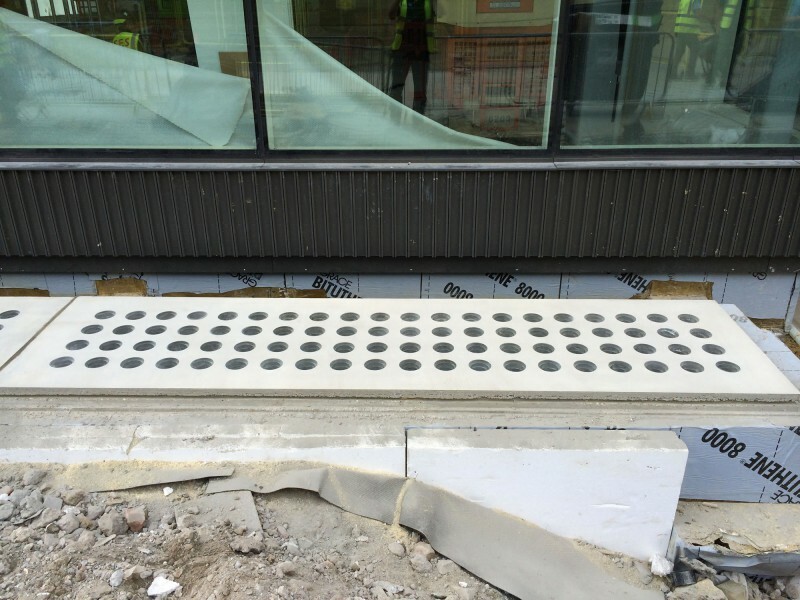 Having received the order from PJ Careys, our experienced operatives cast on site (Insitu) 2no Pavement Lights using our NAG-PC170-100 type construction, glazed with 117mm Diameter glass lenses set in 100mm deep reinforced concrete ribs set at 170mm cross centres. 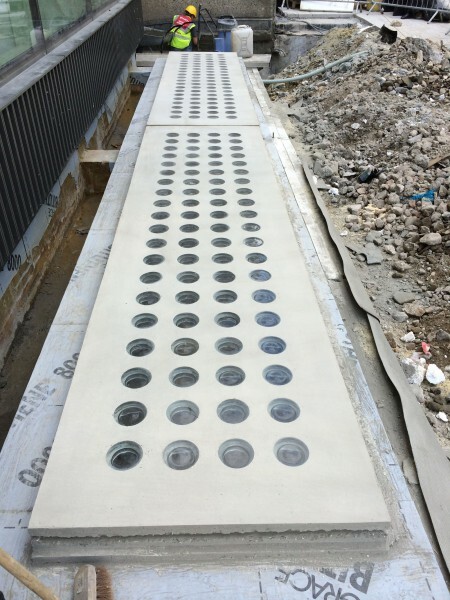 At the perimeter face of the pavement lights we cast a side tuck so as to allow P.J.Carey to dress in a waterproof apron seal using Grace Products Bituthene Membrane.